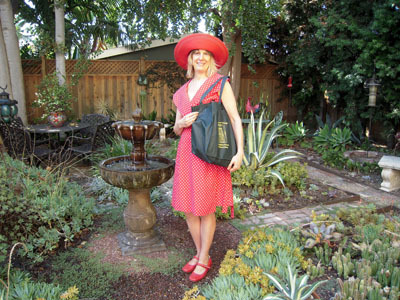 TOTE BAGS are part of Amy Vangsgard’s welcome. The goal is to get everyone in the neighborhood to join, come to the Association meetings and have a better sense of community, said Vangsgard, an illustrator who designed the welcome bag and membership card and is currently redesigning the LVNA brochure. So far, the idea has been met with nothing but enthusiasm, and the LVNA is getting ready to roll out the cards.